The Diverse Thinking Audit for Boards© is a way to measure the level of diverse thinking on your Board. The Diverse Thinking Audit© also uses the Diverse Thinking Criteria© and Diverse Thinking Matrix©, designed by the Superdiversity Institute for Law, Policy and Business. The Diverse Thinking Audit© will be conducted by the Superdiversity Institute’s team and will be peer-reviewed by Janine Smith. State-Owned Enterprises, Public Listed companies, Co-operatives, Professional Services, and advisory roles in the cultural and tertiary education sector. 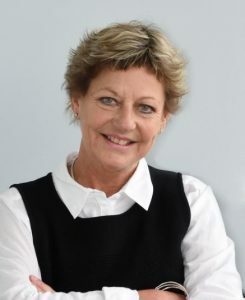 She is an Executive Director and founder of The Boardroom Practice Limited, established in 2003 specialising in advising boards, board reviews and governance training for industry groups. She also completed a MPhil (Hons1stclass) in 2010 on Effective Boards. Janine was awarded a Member of the New Zealand Order of Merit (MNZM) in the 2015 New Year Honours List for services to corporate governance. Her corporate career was in food and related companies in the Fast Moving Consumer Goods sector and in telecommunications and media. She held executive director roles in Telecom Yellow Pages and Arnott’s Biscuits (part of Campbell US) where she was GM/CEO in NZ.